TROUBLE IN TIBET – MEDITATION vs MILITARY OCCUPATION. Finding ‘Inner Peace’ through mental practices like ‘Meditation’ entirely depends upon the precise, geographical location where the Subject practices Meditation. Prayer and Meditation are useful tools, but they have practical limitations. Mental practices by themselves do not change or alter external reality. At the most, the mental practitioner may develop tolerance and cope with external reality that remains unchanged. If the purpose of mental practice is that of resisting external reality, practices such as Prayer and Meditation can bring benefits like Patience and Perseverance that sustain mental resistance to unchanging external circumstances. Tibetans living under Subjugation have to cultivate attitude of Patience and Perseverance for they have no other Choice. Oppressive Military Regimes must not be tolerated and to resist military occupation is the right thing to do. Photo of Richard Davidson and the Dalai Lama in Madison in 2010. Photo by Jeff Miller/UW Communications. His Holiness made a swing through town this week to headline the “Change Your Mind Change The World” conference hosted by his old friend Richie Davidson of the UW’s Center for Investigating Healthy Minds at the Waisman Center and his new friend Jonathan Patz of the UW Global Health Institute. A star-studded affair, the daylong event featured heavy hitters Arianna Huffington (The Huffington Post) and Daniel Goleman (author of Emotional Intelligence) as moderators along with a high-end cast of thinkers and doers who could only be upstaged by someone like the Dalai Lama. The next hour-and-a-half was a reflecting exercise of sorts—each of the three panelists (Davidson, Patz and Ricard) held forth on their own body of knowledge and research interests, and then Huffington asked the Dalai Lama to respond. Davidson laid out five facts of well-being and cited studies that prove the extraordinary—and relatively new—findings on how little we know about or respect well-being’s effect on our health, both physical and emotional. According to one study, after just two weeks of training in compassion, a study cohort’s brains changed to become more cooperative and altruistic. Another study, this one on infants, found there is an innate disposition toward well-being and generosity. After Davidson’s presentation on well-being, Huffington wrapped it up by asking the Dalai Lama: “What can we do to help these tools become more widespread?” His reply was a recurring theme throughout the session: education. “That’s the only way.” He also talked about the media’s obligation to inform the public about the positive, not just the negative, as well as his own commitment “to promote secular ethics, harmony.” Human nature is gentle, he explained, but that good nature becomes dormant due to our social environment and the deeply instilled values of money, greed and competition. UW professor Jonathan Patz, who was among a United Nations panel that shared the Nobel Peace Prize with Al Gore in 2007, was up next. He opened with the sobering news of late that the earth has for the first time exceeded 400 parts per million of carbon dioxide, which is not good. “Grappling with climate change is a golden opportunity for human health and well-being,” Patz said before exploring the concept of the interdependence of our human species with the survival of the natural world. He did so by telling the story of a third-world village that eradicated malaria with a pesticide, only to weaken the food chain and unleash an epidemic of typhus. The lesson? “The importance of being mindful of the interdependence of life because unintended consequences outnumber our good intentions.” Other topics Patz and the Dalai Lama reflected on were measuring a country’s gross domestic product by more than financial capital—factoring in socio-political and environmental capital as well. Patz also shared with His Holiness that more than population growth, per-person consumption of natural resources is a threat to, well, natural resources and a clear link to climate change and worst-case scenarios. Matthieu Ricard’s comments were wide-ranging, from ideas like “voluntary simplicity” and “gross national happiness” to how greed has reduced human qualities to a single dimension. His answer to Huffington’s powerful doomsday question was, in the spirit of Buddhism and the Dalai Lama himself, quite simple: altruism. His Holiness agreed, but framed it quite differently. The opposite of altruism, or selflessness, is selfishness, and he told us there are two kinds of selfish: wise selfish and foolish selfish. If you think more about others’ well-being, he suggested, you will get the ultimate benefit. 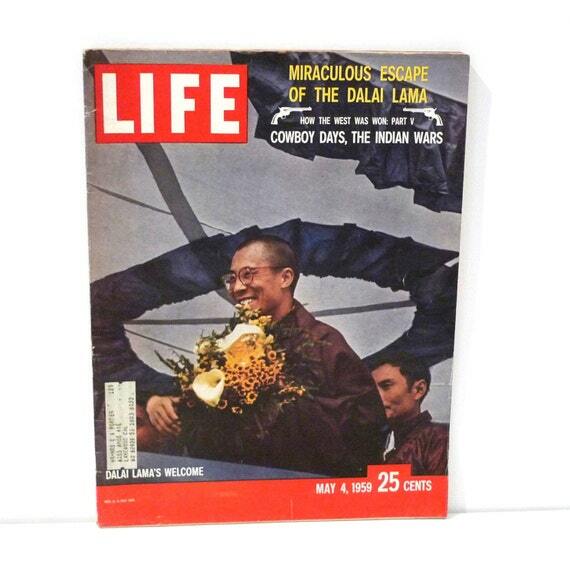 As he walked off stage, the Dalai Lama waved, then lingered, then walked toward the crowd and shook hands with several lucky front-row seat holders as John Lennon’s “Imagine” floated through the air. I left feeling conflicted about whether the answers were this simple, but also moved simply by being in the Dalai Lama’s presence, an experience shared by many. There’s just something about a person whose real and tangible world power doesn’t rest in the hands of the government or the military but in his human capacity for kindness and compassion. There’s something about the Dalai Lama. Brennan Nardi is editor of Madison Magazine. Copyright 2013 by Madison Magazine. All rights reserved. This material may not be published, broadcast, rewritten or redistributed.